Hurry Up!!! Student’s exam season is upon you. It is easy to forget that exams are to be for test our knowledge; it will help to you for your progress. Exams are not for stress, deadlines, and a time when we lose our confidence and our abilities. NEET Exam 2017 is on 7th May date is coming near to you. So a student if you are prepared or not prepared, then it is important to remain stress-free and motivated. 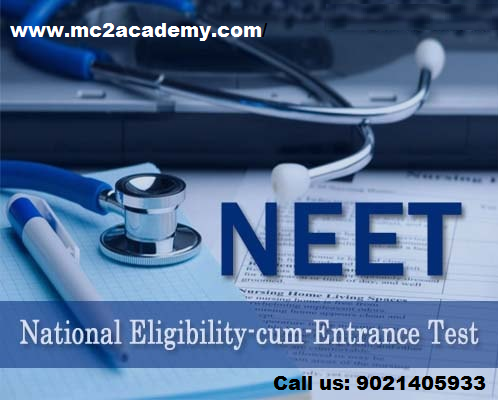 If you have any doubt then join Coaching for NEET UG in Pune. At the time of exam students are doing late night revision & at the time you are feeling stressed out. Proper sleep helps for relaxing your body and mind, which is preparing you best for examination hall. Do study but not for the late night. So, students don’t miss your sleep at night. When you are sitting at the study then focus only on a study. Do study in the proper manner. If you are investing whole day for study but you don’t get any output then all your hard work get wasted. So what the things you are doing do it very carefully. Take a break after some time because you don’t get bored and try to solve more NEET UG previous year question paper. Some students do meditation for keeping their mind calm and for relieving the stress. Meditation & exercise both the activities helps to produce feel good for your brain, so it reduces your stress level is on the mind at the time of NEET UG online exam. You more constantly make preparation. During an examination time or before the exam avoid junk food because you feel better but you get lazier and stressed out. Try to eat fresh food, vegetables, milk, fruits, and healthy foods into your diet. Such a healthy foods are easy for your stomach and help to fight the stress.